Posted By Nathan On December 17th 2015. Under Blog Tags: applicant tracking systems, keywords for resumes, resume keywords list . Ask Our Interview Consultants for HelpWhat Are Keywords for Resumes and Why Are They Important? When you pass your resume to a big company through their application system online, or you drop your resume onto Monster or one of the many other job search sites, you are hoping that a recruiter will look through your resume and will see your value and ask you to interview. More and more, however, the recruiters are using what are called Applicant Tracking Systems (ATS); these will review the resumes first and will filter out those resumes that they feel don’t match the requirements and only pass on those that best fit the expectations of the recruiter. In the simplest way of looking at an ATS, it looks for the keywords that are related to your job. If those keywords are there within your resume then your resume may be passed on, if they are not within your resume then the program will simply put your resume to one side and the recruiter will not get to see it. Is There a Resume Keywords List? In all of these areas, there will be specific keywords and keyword phrases that the recruiter will be expecting to see and will have programmed the Applicant Tracking System to find. If your resume is populated with the correct keywords for resumes then it will present your resume along with any others that match their specific requirements. 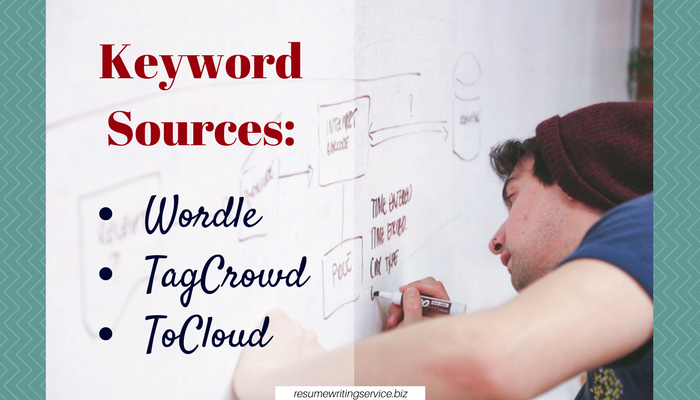 Use tag generating software; there are sites such as Wordle, TagCrowd, and ToCloud in which you can paste text and they will tell you which powerful words for a resume are the most commonly used. If you take several job postings for your industry and position and paste them into these services they will tell you the specific keywords that are used the most from within those job postings. Review the profiles of people that are working in the company that you are targeting on LinkedIn; by reviewing their profiles especially in the roles and departments that you are targeting you can see what keywords for resumes they are using. Use the Google Keyword Tool; while normally used for webmasters to find related terms it can also be employed by you to discover terms that are related to a specific industry and job title. We are a professional resume writing service with many years of experience that can help you to ensure that your resume is specifically crafted for the job that you are seeking. Our highly qualified experts know precisely how to select the correct keywords for resumes in your area due to their in depth knowledge of recruitment in your field. 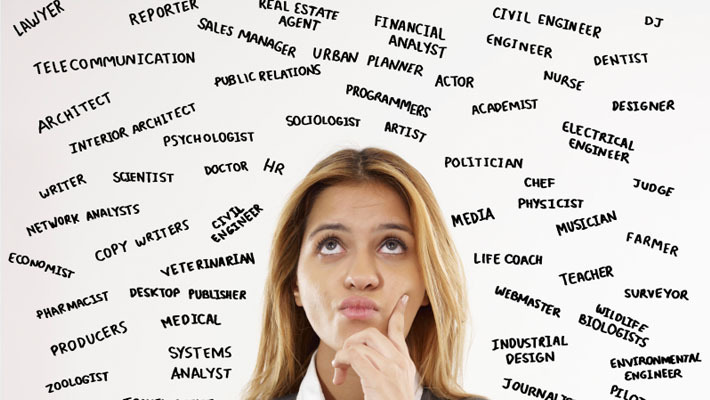 The use of keywords in resumes has baffled (and annoyed) job applicants for a long time. The problem is that these keywords are an integral part of the makeup of the application processing systems. Application Tracking Systems (ATS) are designed to rank applications on keywords. That’s the environment you have to manage. 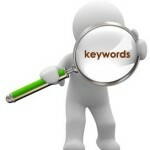 So it’s worth your while learning how the keyword system operates. The usual job ad includes a range of keywords which applicants must use. ATS systems are analytical tools. They analyze applications to find the best matches of skills, and obviously, keywords are part of the analysis process. The ranking system will discard applications that don’t meet a required range of matches. It’s that simple. Applicants have to make the cut, and keywords are the primary screening tools for getting your application through the door. There’s another issue, and it’s far from simple, or obvious: Every organization uses its own criteria and keyword ranges. You can’t use the same application for the same job with two different organizations. You need to tailor your application to match specific job criteria. 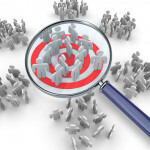 Identify keywords for essential and desirable job criteria. These are typically basic descriptors, like skills, job titles, and similar high-relevance terms. Most of the important keywords are logical search terms and easy to spot. Customize your resume to use these keywords. Use the same terminology as the job ad. The ATS must be able to read your application, spot the keywords and tick the boxes. You can use the job description as a reliable guide to the core information and keyword requirements. Write your resume on the same fundamental lines. Check terminology. Buzzwords are a common problem, but they’re also often easy to spot as keywords. Each organization’s terminology needs to be used. Some organizations call their customer service people “consultants”; others call them “sales”, for example. Use the same terms as the job ad. Keep your resume layout pretty simple. ATS systems aren’t infallible, or anything like infallible. A functional resume layout, for example, is very straightforward and easy to read. In case you have any questions concerning keywords to use in a resume, feel free to contact our professionals!